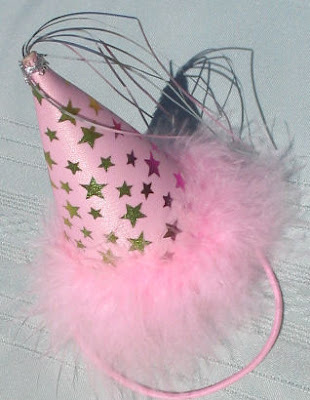 Today is our BFDBB's (Best Furry Diva Blogging Buddy) Birthday! She's the coolest, so we just HAD to do something to let her know how much we luvs her! Oh Jersey - it looks absolutely BE-A-U-TIFUL on you! AND, Molly and Maggie got together and spent the whole day making you this furry... I mean VERY special cake! We hope your birthday is the greatest day EVER, Jersey!!! Sending you lots of licks and tail wags and tail chases! After Molly, Maggie and Tag, Jersey is the coolest dog I know. Thank you so so SO SO very much - this is so cool! Ooooh, that cake, the beef and the hat - I ♥ it. Love ya all more tahn woofs can say!!! I'm going to become a dog with gifts like thoses woofeeee ! !